The Last Jedi? 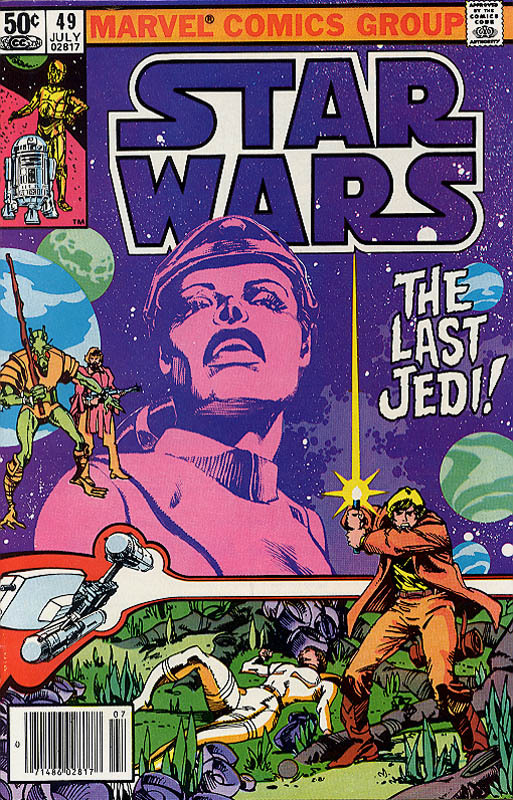 Did Marvel Comics know the title of Episode VIII back in 1981? No it's likely just a coincidence as in this issue Leia, Luke and the droids travel to a planet where they answer a beacon for help from a Prince Velmor. There they meet the Jedidiah who was once a potential Jedi Knight and joins Luke and Leia for an adventure on the planet. So no it's not likely this has anything at all to do with Star Wars: The Last Jedi but it's still a cool comic cover from teh classic series.